As we told you last year, Luigi has invited his cousins from Carsoli, Italy, to Radiator Springs for a special celebration! Today, I’m very eccitata to tell you that the celebration will begin when Luigi’s Rollickin’ Roadsters opens March 7 at Disney California Adventure park. 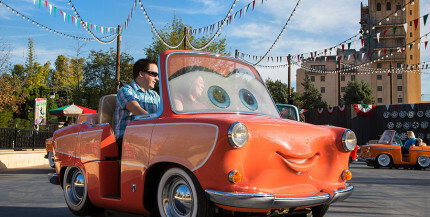 Join the dance yourself when Luigi’s Rollickin’ Roadsters opens March 7.